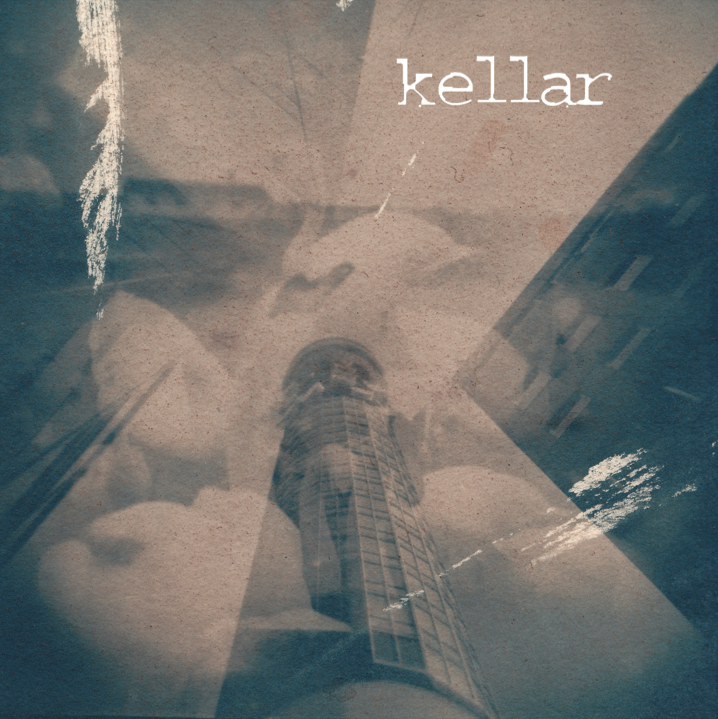 Kellar are a three-piece outfit from the south of England who class themselves as texture rock. Having struggled myself to find an easy means of classifying them, it is perhaps best to use their own definition to try and summarise the nebulous racket herein. The album starts with a cacophony of noise, over which beats a manic drum rhythm similar to both Terry Ollis’s tribal patterns on Hawkwind’s first two albums and Robert Wyatt’s punk-jazz hard hits on the Softs’ first two albums. Musically there appears to be some bizarre skeletal structure at play, with some level of pre-planned arrangement hinted at here and there, glimpsed briefly through the walls of distortion pedal abuse. Riffs and looped passages are hinted at, but almost instantly obliterated by either cross-tempo drumming or some other intrusive noise. The band do vary the dynamics a little across the album, and at times the listener is rewarded with quieter themes, such as the first few minutes of The Golden Butterfly or the strange breakdown in the middle of The Nested Boxes which pairs a stuttering oscillator with an odd Donkey-bray guitar part. 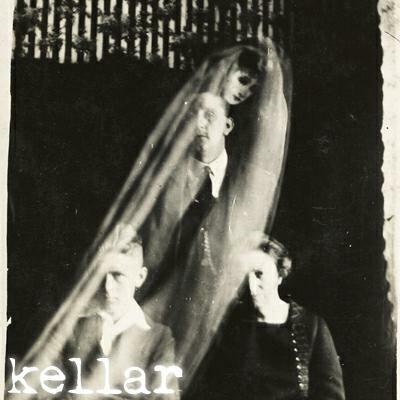 However the long and the short of it is that Kellar are a noisy experimental band who worship the decomposition, primitive jamming, distortion and idiosyncrasies that conventional bands go to pains to remove from their music or get out of their system in dank rehearsal spaces years before they present their output to a willing audience. At times, enough white noise is overlaid to create the illusion that the album was perhaps recorded in a large open-plan workshop or other Wagnerian hive of industry, with the band playing along, or against, the prevailing background noise. On the whole the music has a largely unplanned vibe that hints at such extremes of music as the proto-industrial wash of Throbbing Gristle or the uncompromising avant-rock of AMM or The Red Krayola, which although challenges the listener deserves much respect simply for not trailing off into either tepid Post-rock ambience or a more explicitly affected musique concrète. Listening to Beloved Dean of Magic whilst going about daily activities provides an entirely plausible alternative soundtrack as one navigates busy shopping areas, industrial areas and public transport networks. The constant pillow of noise that Kellar subject the listener to almost offers a cathartic remedy to the inconsistent and constantly fluctuating machine noise you encounter in daily life but tune out to, blood pressure withstanding. One can imagine this works both ways; creating such music is probably as cathartic to the various members of Kellar in the same way that the hour’s worth of unskilled pounding and unsteady riffing on Earth’s Living in the Gleam of an Unsheathed Sword broadly represents Dylan Carlson’s purification and rebirth following years of heavy opiate abuse. Picking out various tracks for praise or damnation is especially difficult. The band have a single thick wall of sound that they fall back on with every track although sometimes a more notable feature, such as a spiralling phaser or dolphin-song oscillator will float up to the top of the music. However, in the main, the music stays fairly constant in both bombast and texture, proving at times a chore to listen to, but raising important questions as to where the boundaries of music and virtuosity can be realistically placed. By way of slight contrast here, Kellar explore more open and spacious textures on this cut. Maybe having successfully cast out their various demons on Beloved Dean, the band allow a greater musical freedom, and rely less heavily on thick walls of distortion. Instead the music here is infused with an emotionally heavier and slightly occult and dreamy vibe. Opening track Voice of a Broken Machine sounds for all the world like a terminally broken rendition of the Elevators’ May the Circle Remain Unbroken, having been left exposed on a high plateau for a millennia or three, with an understated swirling guitar part counteracting drums echoed to the point of self-oscillation. This icy track follows this vein long after a conventional band would have changed either the tempo or the timbre of the music (and again drifted off into dull Post-rock) and six minutes in, the same esoteric guitar parts are still vying with echoed drums for attention. Perhaps a little frustratingly, the band revert back to their wall of noise, as the echoed drums begin to take up all the sonic space left in the track. Second track, the Bauhaus-esque They Gather the Horizon, pairs another tribal rhythm with a grinding bass line over which a roughshod Daniel Ash guitar part limply sustains and feedbacks incoherently. This track visits a few different textures, morphing from aggressive passages to ambient passages with a certain ease previously unhinted in Kellar’s music. However, the basic theme of the music is still too sparse to be properly fleshed out here, leaving the track with an unfinished air. Overall this track has the most conventional composition and generally indicates that it is built up from a prepared score of some kind, although it still sounds far from finished with the tempo wandering as the track progresses. This track feels more like an unfinished piece of conventional music, with a band desperately trying to patch the cracks as they appear, and is perhaps less enjoyable purely because it lacks the blundering anti-composition of Kellar’s earlier works. Third track, The Levitation of Princess Karnak, opens with slowly swelled chords reminiscent of the string-synth soundtracks of ’70s horror and thriller films. Here the band finally find a next level to their abstract texture-driven music. Whilst the music reflects their earlier experimentation with sheer noise, the overall timbre of the music is so shifted that it evokes a completely different atmosphere. Although still lacking such rudimentary features as a set tempo and melody, the more experimental and ambient nature of this track hints more towards the pre-sequencer Tangerine Dream album tracks of slowly shifting phasers and sustained chords. Whilst the track yet again gets noisy and incoherent it still retains this subtler flavour.